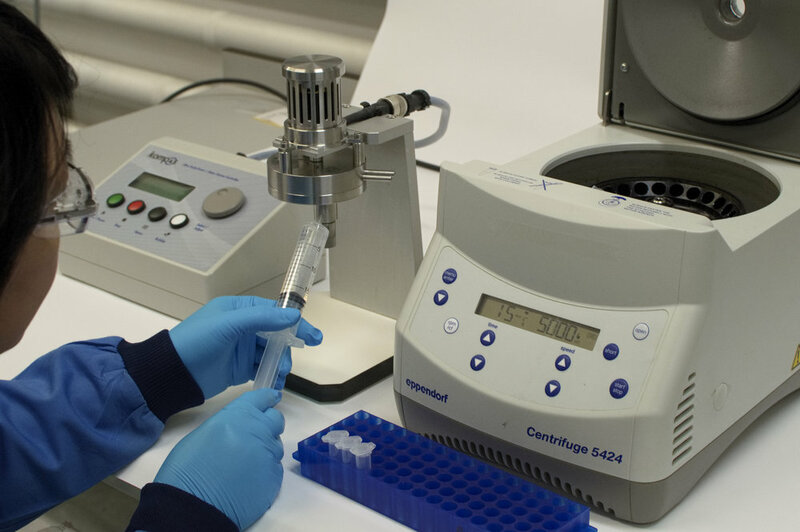 kompAs comprises a sample processing unit and a speed control unit. 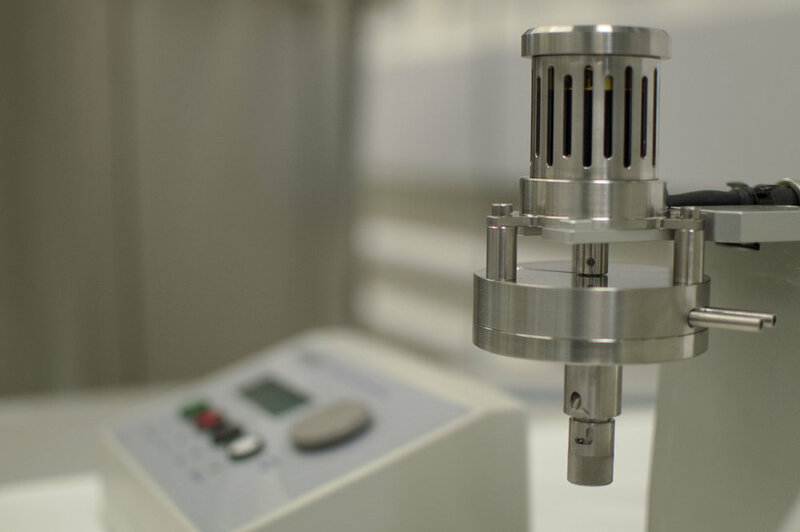 The sample processing unit consists of a hollow chamber (20 mL internal capacity) inside which a rotating disc is fitted. Both are made of stainless steel. The speed of the rotating disc (0-18,000 rpm) is adjusted via the controller. The device sample chamber is fitted with a double envelope so that the temperature control can be achieved through circulation of cooling/heating liquid. The choice of the disc speed and time (max. 1 min) of sample exposure to shear is dependent on the specific process operation to be mimicked. Examine impact of shear stress without air-liquid interfaces. Designed to remove air bubbles to ensure that the energy dissipation is only due to hydrodynamic shear stress and not due to air-liquid interfaces. Please complete the form below to register your interest, and check the box if you would like to receive a quote.